Being a Yahoo CEO is not a job that seems to have much security these days. 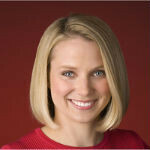 In the past 5 years, Yahoo has had 6 different CEOs, including two interim CEOs, and newly appointed CEO Marissa Mayer. Mayer has a tough road ahead of her, but the star (now former) Google Vice President certainly has the skills and clout to give Yahoo a chance at turning around its floundering business. Mayer was Google employee #20. She was the company's female hired, and eventually became the company's first female executive. She was VP of Search and user experience before becoming VP of Local, Maps, & Location at Google. Mayer's biggest strength is in helping attract quality engineers, and pushing those engineers to create amazing products, something that Yahoo has been sorely lacking, especially in the mobile space. According to the New York Times, which was first to break the news of Mayer's hiring, while Mayer will focus on Yahoo franchises in e-mail, finance, and sports, she will also look to strengthen the company's offerings in broadband video and mobile products. Yahoo does have a couple of apps for mobile, but none are all that compelling, so it would be nice if Mayer can really change the culture at Yahoo. She is certainly one of the more talented people in the tech world, and some would say that all Yahoo needs is direction. The company still has a huge user base, and some very popular products, so updating those products may go a long way to rehabilitating Yahoo. Yea she is a looker. I love Yahoo mail, it's so much friendlier than Gmail, and Yahoo messenger is great. But that's perhaps all about Yahoo these days. Hopefully Mayer can rub some Google magic on Yahoo and turn the company around. She should seduce and sleep with tim cook and larry page so that yahoo would be successful. Indeed....She can rock you tooth! and make you go "YAHOO!!!!"